Depending upon the state in which you live or the employer for whom you work, you may be required to participate in mandated and/or random drug testing. Eighteen states currently include drug testing provisions in their legal codes. Federal agencies such as the Department of Transportation and the Department of Defense also require the industries, workforces, and contractors which they regulate to implement drug testing programs and policies. Additionally, the federal Omnibus Transportation Employee Testing Act (OTETA) requires all operators of aircraft, mass transportation vehicles, railroad equipment, and commercial motor vehicles to be tested for drug and/or alcohol use. Companies who screen for illegal drug and alcohol use may screen job applicants prior to employment. Employees may also be screened for drug and/or alcohol use at random intervals or for cause when stipulated by company policy and where permitted by state law. Companies who drug test typically have a written drug and alcohol policy, distributed to all personnel, explaining when and how job applicants, new employees, and current employees may be tested for illegal drug and/or alcohol use. As permitted by state law, job applicants may be drug screened as part of the employment hiring process. New employees may be tested before or after interviews and during new hire orientation. Employees should expect to be drug and/or alcohol tested prior to accepting a promotion when an on-the-job accident occurs, or at any other time as deemed necessary by our Human Resources department or our Environmental Health & Safety Manager. Submission to scheduled and random drug testing is a continuing condition of employment for all personnel. Pre-Employment Drug Testing: All applicants who are offered a job with the company will be tested for drugs as part of the post job offer employment screening process. Each state has its own laws regarding pre-employment drug testing, so it is beneficial to know your rights in your respective state. In some states, for example, drug tests are subject to personal health information laws and are therefore limited in the amount of information they can relay to employers. Random Drug Testing: Employees may be selected at random for drug testing at any time. These tests are unannounced and unexpected by employees. According to the Department of Labor, employees are put in a lottery-like testing pool and are randomly selected. Often, the selection is electronic to ensure that the employees were in fact randomly chosen. The random selection process also creates an equal chance for all employees to be picked for testing. Random drug testing has little to no advanced notice, which is an effective deterrent to employee drug use. 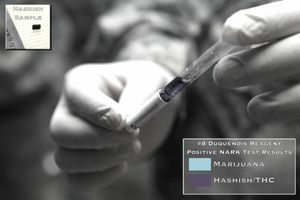 For Cause Drug Tests: Employees may be required to submit to a drug test if the company believes they have been under the influence of drugs or alcohol on the job, if unexcused absence from work or lateness is an issue, or if performance appears to be impacted by drug or alcohol abuse. For cause drug testing is not just to test for drug use on the job, but also determines use during off-work hours and/or at home. Post-Accident Drug Test: Any employee involved in an on-the-job accident or injury may be tested for drug or alcohol use. These accidents can include driver negligence, a workplace injury with medical treatment on or away from the scene, disabling damage, or car removal. Any applicant or employee who tests positive for illegal drug use will not be hired or promoted, may be subject to disciplinary action and required to participate in substance abuse counseling, and may be terminated from employment. In the case of a job offer, an employer cannot force you to take a drug test. However, refusing to take the test may result in a rescinded offer of employment. Current employees can also be terminated, demoted, or suspended for refusing a drug test. What Are Potential Employers Allowed to Ask in a Background Check?